I wrote a post about creating a Filetable, which just covered the basics of how to build one. How do you work with the data in this table? In this post I’ll look at a few things you can do from the T-SQL side. From the last post, I had my author drafts Filetable. 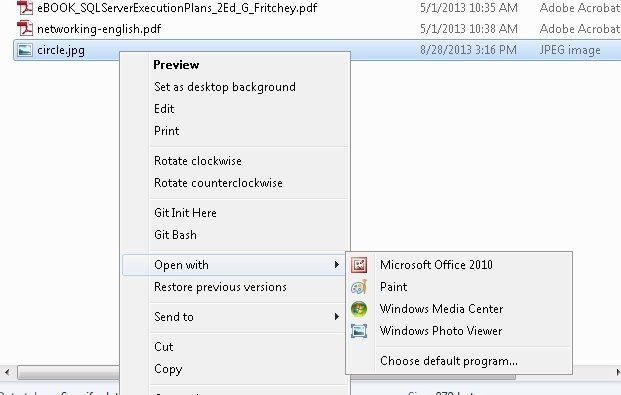 I can see this in the Object Explorer. 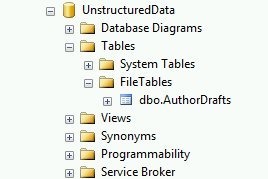 I can use the same “select data” feature from Object Explorer on a Filetable, just like any other table. I get the results, and as you see, I have a few rows in the table. These are actually the files I see in the share. 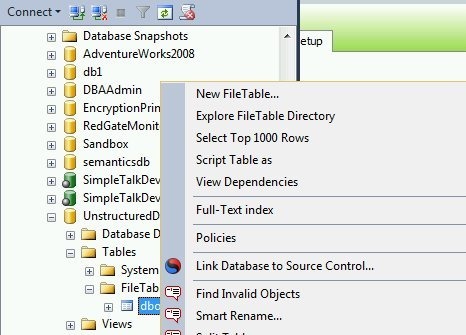 One of the advantages of Filetable is that you can use Explorer (and any tools that use the same Explorer APIs) to move data in and out of a table. 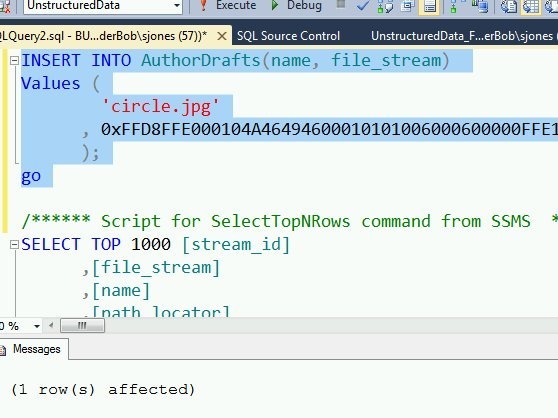 However that doesn’t preclude you from using T-SQL. I can use a script to insert data into the table, just as I might with Filestream. 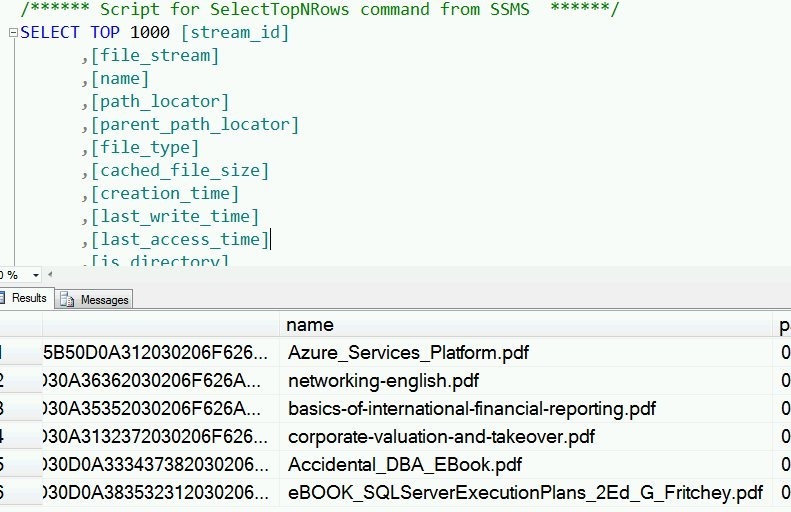 As shown above, I can use SELECT queries to return data from a Filetable in T-SQL. 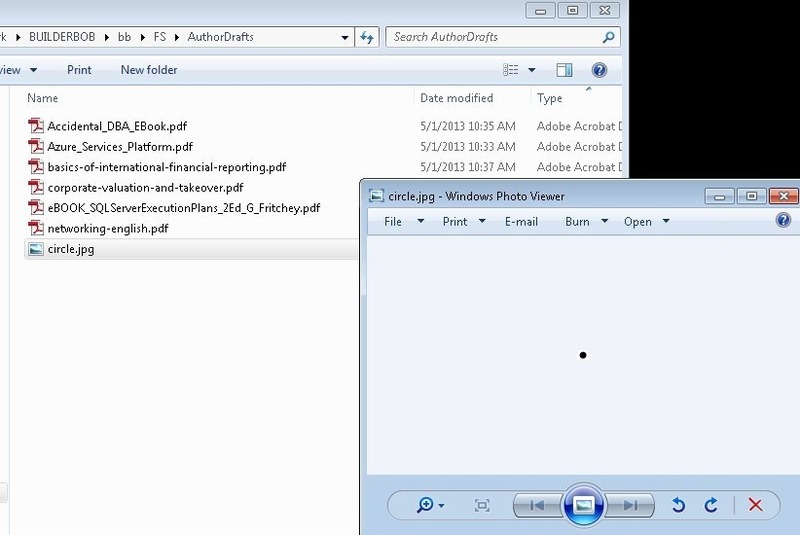 However, I have a share as well, and I can cut, copy, paste, and open files from the share just as I would any other file in the file system. 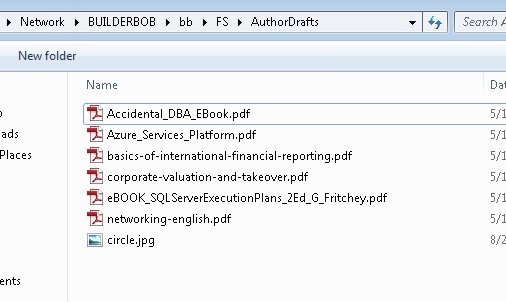 Working with files in a file table is easy, and while many people will use Explorer functions, you can use T-SQL as well to insert, or retrieve the data as you choose. 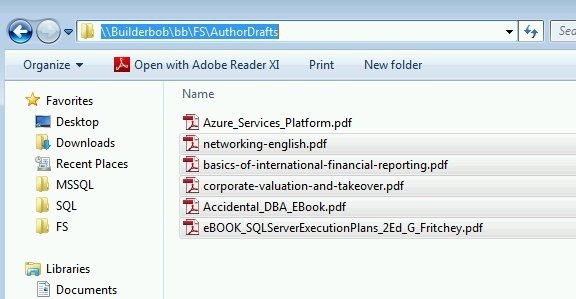 This entry was posted in Blog and tagged administration, Filestream, Filetable, syndicated, T-SQL. Bookmark the permalink.